Twin Cottage is a very special little cottage for adults and children alike. Little ones will head straight for the conservatory play room, whilst adults will adore the romantic fireplace and log burner, especially on crisp winter days and evenings, or indulgent slipper bath - also a big hit with toddlers! The New Forest setting will have little visitors playing spot the pony, cow, or deer from the garden gate in no time but despite its rural location, Twin Cottage is less than 20 minutes drive from the coast and a 10-minute stroll from the stylish and recently refurbished, White Buck pub and restaurant. 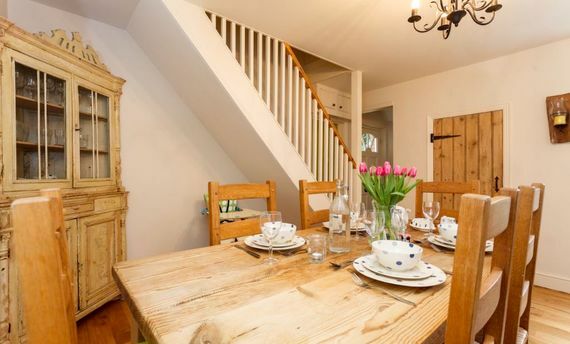 The beautiful setting of the cottage is matched by an equally attractive interior. 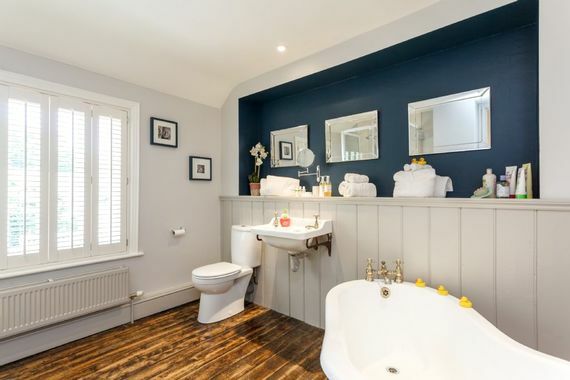 An elegant colour scheme, solid oak and slate flooring, luxurious antique double bed and aforementioned cosy fireplaces, slipper bath and special toddler zone, just off the well-equipped kitchen, make it the perfect blend of luxury with family practicality. 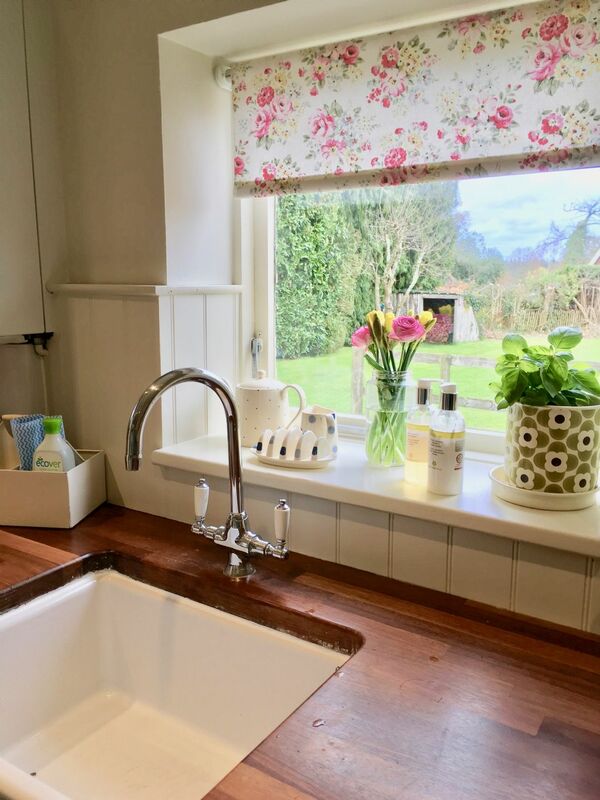 On top of the romantic bath, antique bed and cosy fireplaces, what really makes Twin Cottage special is the attention to detail its owner, Amanda, puts into ensuring guests get the most from their break. 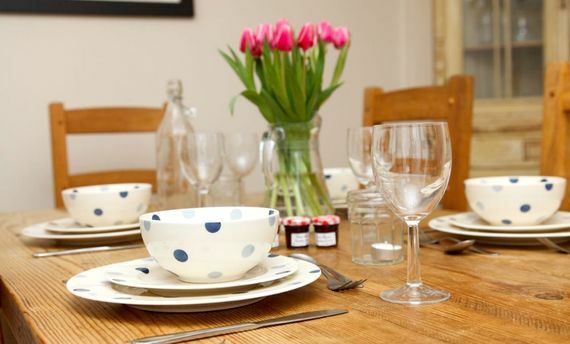 It starts with a freshly baked loaf in the bread-maker, giving the cottage a lovely warm feeling on arrival, and continues with the very generous welcome pack, stuffed with enough breakfast goodies to satisfy cravings from croissants to full English. On top of that, there's a box of chocolates and bottle of wine alongside a pile of the latest glossy magazines, plus a lovely collection of complimentary toiletries for guests big and small, and a healthy supply of coal and logs. When combined with the Ocado/Waitrose internet shop unpacking service, or pre-ordered 'Cook!' gourmet ready meals, parents can simply unload the kids, pop them in the playroom to discover new toys, and relax with a glass of wine in front of a cosy fire or in an indulgent bath... heavenly! Twin Cottage has two bedrooms both with room for a cot. One is a twin/queen (convertible) and the second has a French antique-style double bed. The bathroom has both a slipper bath and a separate shower. Downstairs, the lounge has a lovely open coal fire (coal and guard provided), Flatscreen TV, DVD and Freeview. The dining room has another pretty fireplace, but with a log burner (logs provided). 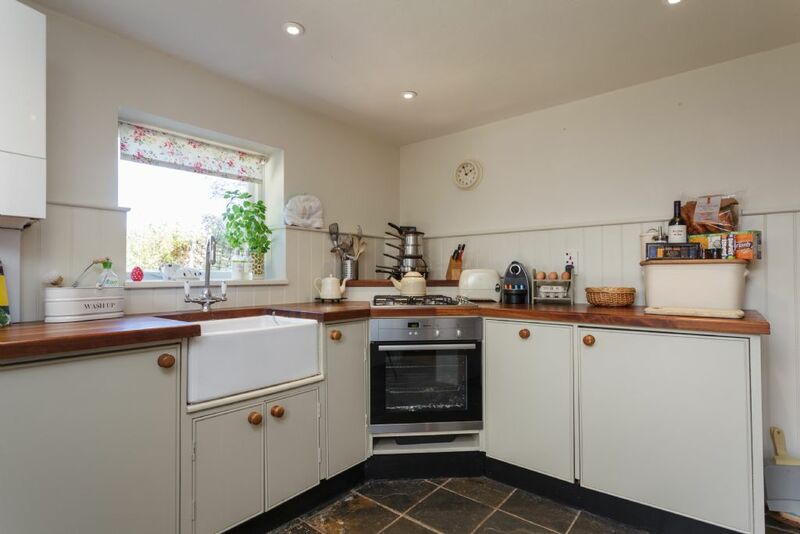 The well-equipped kitchen has all the standard equipment plus washer/dryer, dishwasher, breadmaker and Nespresso coffee maker, plus an honesty bar/cupboard. 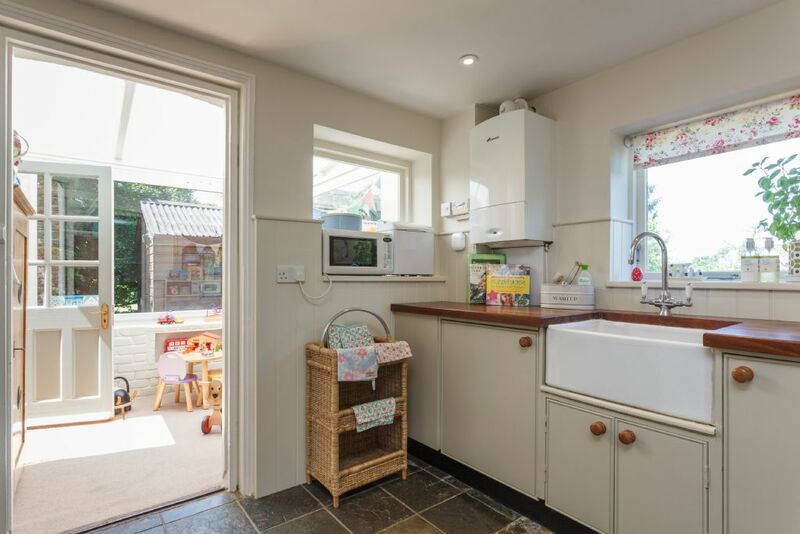 Adjacent to the kitchen is a conservatory with lovely views of the large enclosed garden, along with a filled toy chest, play kitchen and toddler's table and chairs. Off the dining room is a small study, which is stocked with a selection of DVDs for kids and grown ups, craft box, play doh and colouring supplies - perfect for rainy day distraction! The cottage has complimentary Wi-Fi. The cottage sleeps 4-5 (a third child can be accommodated on a rollaway bed, on request), plus a cot. 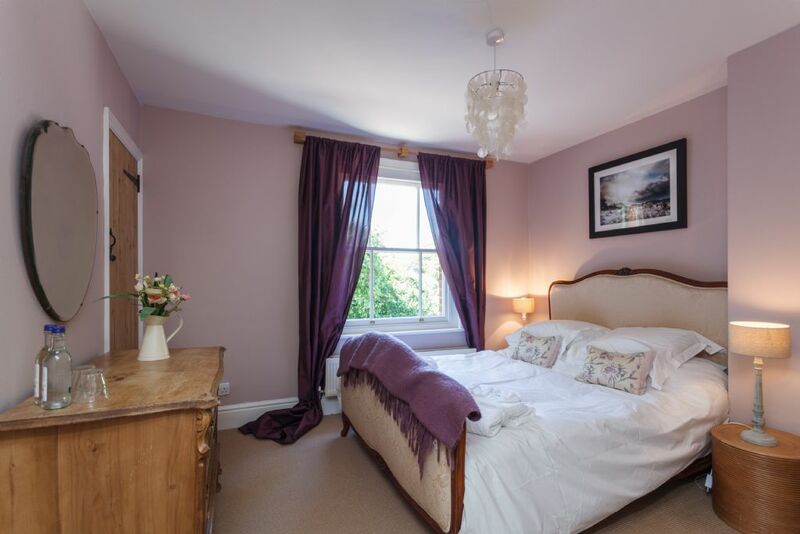 It can be rented per week or for weekend and mid-week short breaks, year round with the exception of bank holidays and half terms, which are weekly lets only. Prices are from £495 - £1,595 depending on the time of stay. Stop Press! Twin Cottage is only 10mins drive from the new Peppa Pig World at Paultons Park! As Amanda and her two young children, Amber and Jack, live nearby, they can be called on for personal recommendations on places to visit. Twin Cottage has direct forest access from the garden gate and is just a ten minute walk through the woods to the popular beauty spot Mill Lawn, which is an ideal location for picnics and fishing with nets in the stream, not forgetting wild pony spotting on the walk down! BFB's top suggestion for exploring a little further afield is Longdown Farm. Here mini guests can feed kid goats, calves, ducks, meet the pigs, donkeys and ponies and cuddle baby rabbits, chicks or maybe even a piglet. Plus, if the weather is less than perfect, there's lots of brilliant farmyard buildings to explore and indoor and outdoor areas including the trampoline barn, a soft play area and the Farmers Straw Den. Active families might take advantage of local bike hire. Forest Leisure Cycling in the local village will deliver bikes, trailers and child seats prior to guests arrival, leaving them in the cottage's shed. For riding of the four-legged kind, the village also has riding stables with pony rides available for little ones. Of the many seaside towns within a 20 mile radius of the cottage Amber and Jack love taking their scooters (Micro scooters available at the cottage for mini guests) down to Avon Beach scootering along the promenade, especially when followed by lunch at ‘ The Noisy Lobster’ or a hot chocolate/ice cream at ‘The Beach Hut Café’. Also popular is crabbing at Mudeford Quay with a 10 minute ferry ride over to Hengistbury Head Spit for lunch at ’The Beach Hut’ restaurant. Famous yachting haven, Lymington, is a great spot for restaurants, boutiques and bistros as well as its handy toddler play park down by the marina - also the perfect place to watch the big ferries setting off to the Isle of Wight. Nip into ‘The Haven' for coffee or lunch and enjoy its breathtaking panoramic views overlooking the Solent and marina. Recently refurbished following investment by Radio 2's Chris Evans, The Haven is said to be amongst the world's top yachting bars and has an excellent reputation for food, especially fresh fish and shellfish. Sleeps 4-5+cots in a double & a twin bedroom, both with space for a cot or rollaway bed (not both), plus a family bathroom with bath and shower. Experienced babysitting can be pre-booked at £10 per hour. 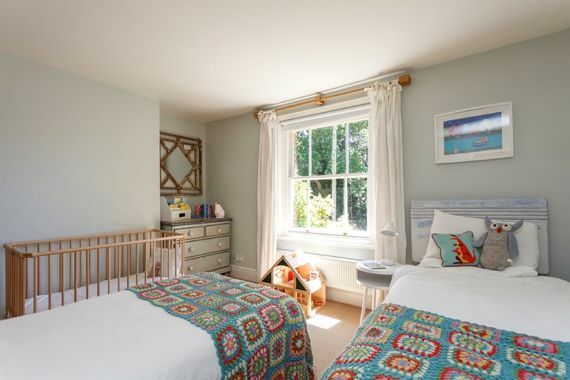 This kid-friendly cottage boasts a host of toys, bath toys, games, books, DVD's, toddler table and chairs, drawing gear, play doh, doll's pushchair & cot, a play tent and a fabulous wooden play kitchen in the playroom off the kitchen. Pre arrival online shopping from Ocado or Waitrose can be organized and Cook gourmet ready meals can be delivered by prior arrangement. This child-friendly cottage provides outdoor toys including: trikes, scooters, Little Tikes car, ride on, dolls pram, and a sandpit. Buckets, spades and fishing nets are also available. Wild ponies and deer are often seen in and around the cottage grounds. Up to two cots and highchairs available. More may be possible on request. Lovely little cottage in the New Forest. Really cosy and lots of child friendly touches. Highly recommended with lots to see and do in the area. This is an ideal cottage in terms of location and overall in every way. The facilities and equipment are wonderful and the furnishings luxurious. Amanda has thought of everything and even gave our daughter an extra little welcome gift as we arrived a day late following an operation she had to have. Amanda's client service and personal touches stand out and we loved it all. In particular the playroom and all the children's toys and inside and outside kit. Thank you so much. A wonderful holiday cottage - everything has been taken care of to make holidaying with pre-schoolers easy. Our stay at Twin Cottage was absolutely perfect. The cottage is beautiful and Amanda has thought of every extra touch and little detail - it felt like a (really luxurious!) home from home. There were more toys and books than my kids knew what do to with and they absolutely loved the playroom. Every bit of (really high quality) baby kit we needed was provided. The location is also fabulous - in the heart of the New Forest and also less than 20 minutes' drive to glorious beaches on the Dorset coast. We followed several of Amanda's recommendations of what to do - they were all within easy reach and brilliant. The experience exceeded our expectations in every way. We will be back! 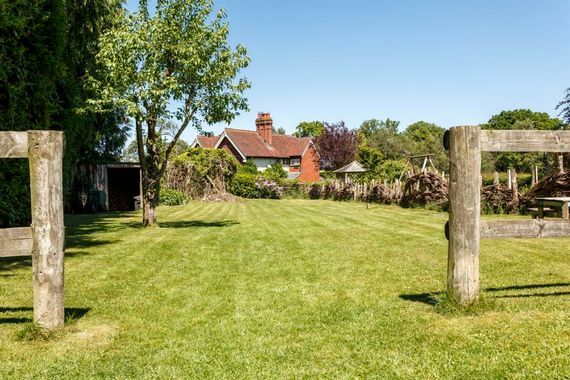 Perfect for families - our toddler loved the many toys, the huge garden and being able to walk out of the cottage straight into the woods, complete with ponies, deer and other wildlife! We had a wonderful stay at Twin Cottage. 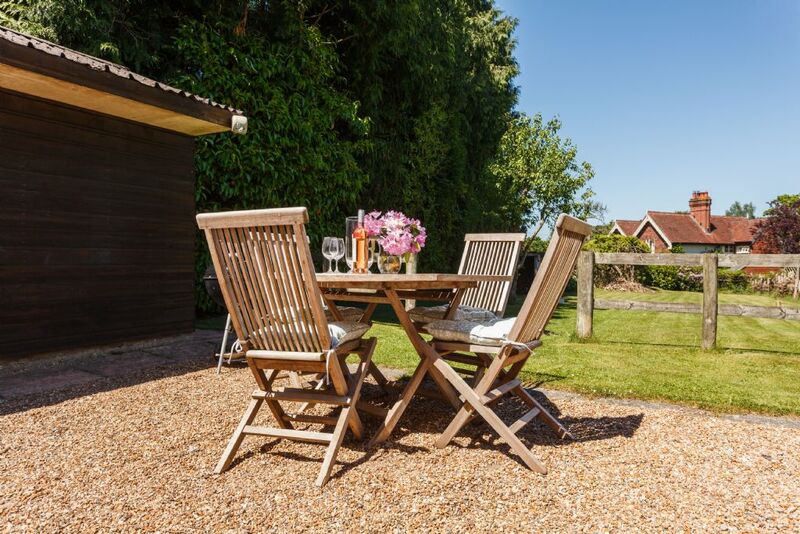 Its a beautiful cottage in an idyllic location and excellent for families. We particularly appreciated the freshly baked bread waiting for us when we arrived, as well as the thoughtful presents for our children. The children loved the playroom and all the outdoor toys. Excellent communication with the owner too. Such a fantastic cottage in the most magical location. Amanda has achieved a place which is beautifully stylish but importantly very practical. Our little boy who is 2 years old loved the playroom & toys so much he still asks me when he can go to the other cottage now we are back home! We will definitely return, we loved our stay. We have just returned from a second wonderful stay at Twin Cottage. This time with a toddler in tow, we really appreciated how well equipped the cottage is, Amanda the owner has thought of everything and there was so much for our daughter to do (toys, books, outdoor games) that we could have stayed the whole week in the cottage without her getting bored! The welcoming touches on arrival make you feel immediately at home and comfortable. An absolutely beautiful cottage, perfect for our week away with a nearly 2 year old. Our toddler was entertained all week with all the toys and little extra touches like the restaurant bag and arrival pack were total godsends. So much to do locally - we were totally spoilt for choice all week. We came away from our holiday rested and relaxed. Can't wait to come back again next year with toddler and baby! Sweet little cottage in a great location. It was lovely to arrive to the welcome pack and present for our two year old and there were ample toys for her to enjoy. Can recommend the babysitting service as well. Holidays with a toddler are never truly relaxing but this was as close as could be! 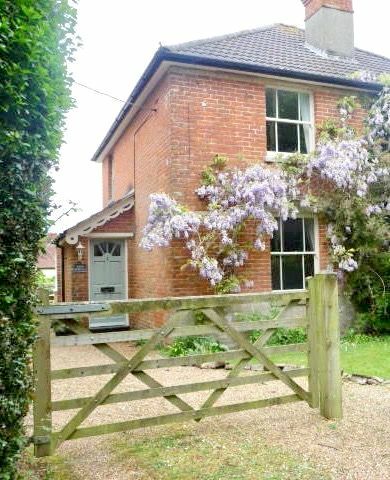 Cute little cottage in lovely village - ideally situated for walking and taking advantage of New Forest. Really nice pub in village (White Buck) about 10 min walk - food is good. Cottage was very well-presented and immaculate on arrival. Amanda has kitted the cottage out with great selection of toys and equipment for babies and children. Our son was 9 months and was a bit young to take full advantage of most of these. It would also have been good to be able to close off the playroom as he had a couple of falls on the hard floors in the kitchen and lounge. He loved the huge lawn for crawling! We appreciated the welcome pack, honesty bar, gift for our son and lovely Ren toiletries. Overall we had a great weekend, thank you! Twin Cottage have thought of everything, meaning travelling with a toddler (usually a stressful experience!) was as carefree as can be. There was a present on arrival for my son, as well as a birthday present for my husband, and a great provision of food to get us started. 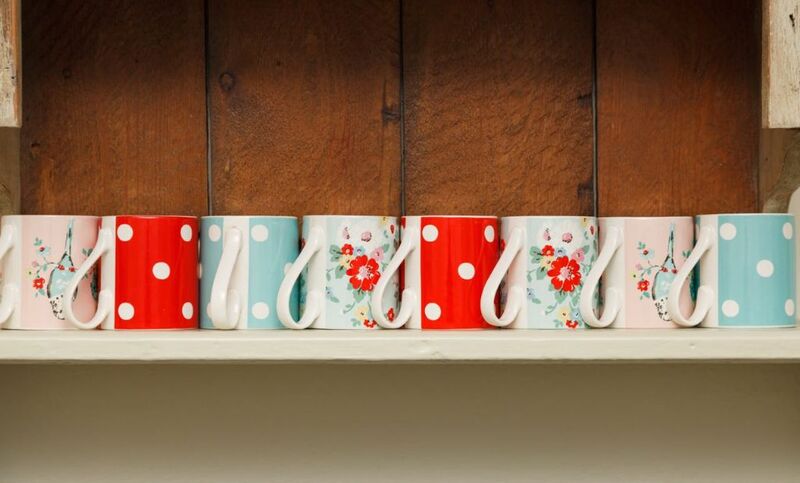 Everything in the cottage is thoughtfully placed and provided, making a very relaxed stay. It is immaculately maintained too. 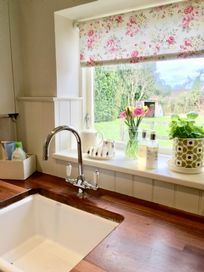 Our stay at Twin Cottage was just perfect, from the very inviting welcome, with freshly baking bread in the bread maker and music playing, to the gifts for us and our toddler, and the array of toys in the play room, to the beautiful surroundings and the immaculate cottage. Amanda has taken care to think of all the little things one might need when holidaying with young children, so much so it really was a break for us too! 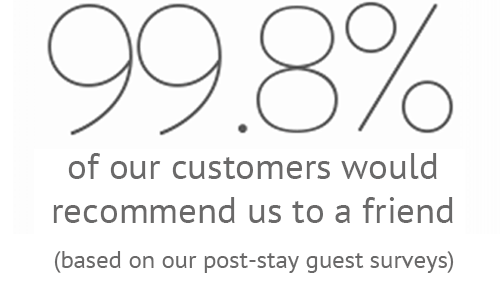 We wouldn't hesitate to recommend it. We had a great three night stay at Twin Cottage over new year 2016/17. The cottage is well equipped with everything to entertain toddlers and small children. The best welcome pack ever, fresh bread, wine eggs, chocolate, yum. Well situated on outskirts of village with good places to eat(child friendly), lovely walks from doorstep of house, then return to cosy fires. Hired bikes(really helpful shop) from village and good trails which 5 and 6 year olds managed ok. Good location for trips to seaside and recommend Moors Valley for good day out. We had a wonderful stay at Twin Cottage, a very warm welcome from the owner, more toys than the kids could play with and you can't find a better location in the New Forest! We arrived to Twin Cottage and were greeted with a log fire, mood music, a Christmas Tree with gifts underneath for our twins, a lovely wooden hamper of goodies, and freshly baked bread. The owners had thought of everything, which resulted in an unforgettable Christmas with our twinkles. I cannot recommend enough! Lovely presentation on arrival - log fire going, gift for toddler, fresh bread and breakfast goodies. Great toy room. 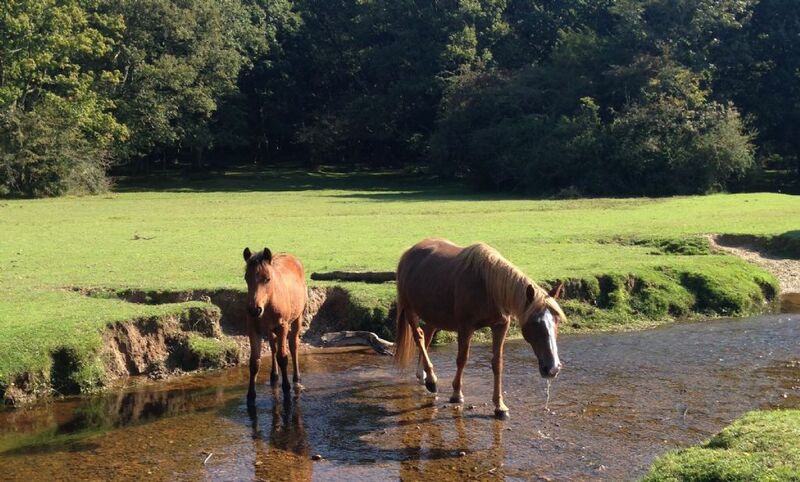 Big bath, Good location for exploring the New Forest. Would like to go back in the summer. This a wonderful property, in a beautiful setting, with plenty of walks nearby. The owner's attention to detail was lovely - lots of thoughtful touches - a welcome pack, the log burner on and music playing as we arrived, freshly made bread... the list goes on. Super child friendly with a playroom complete with play kitchen - stair gates etc. The log burner was a delight and kept the house toasty and warm. The property also has a lovely back garden. Altogether a great place for a holiday. 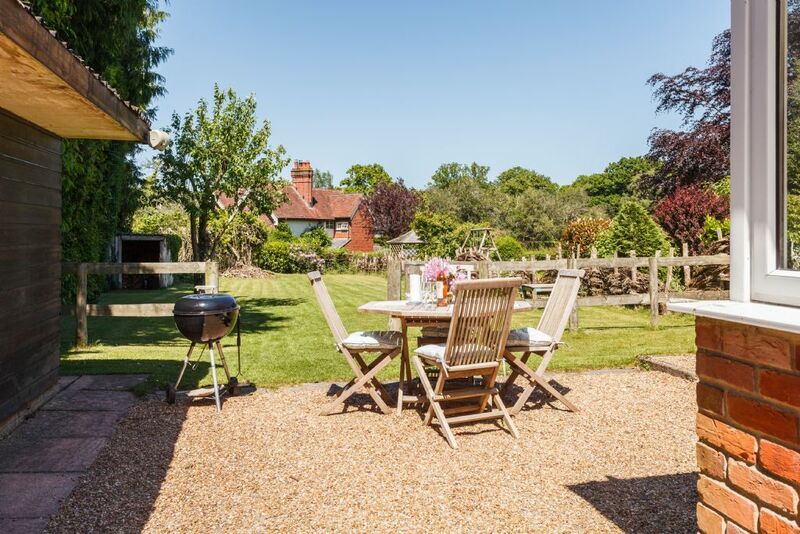 Fantastic location in the heart of the New Forest. Everything has been thought of by the owner. It's the little touches that make the difference and there are so many of them from the home made bread on arrival, present for child and breakfast items in fridge. Couldn't recommend highly enough! We will definitely be back. We have just had a fantastic stay at Twin Cottage, everything was perfect and the kids were brilliantly catered for including a really high quality welcome present. Amanda clearly puts a lot of thought into this and it makes for a lovely, relaxing stay. Couldn't recommend this cottage more! We had such a lovely stay here! The location is perfect and the cottage is very child friendly. Our young son loved it and we were all sad to leave. Beautiful little cottage. Tremendous welcome with a real fire burning, fresh bread in the bread maker and music to relax you. The owners have thought of everything and is perfect for young children. Great location and close to lots of attractions and activities. Amanda, the owner is very friendly and accommodating. 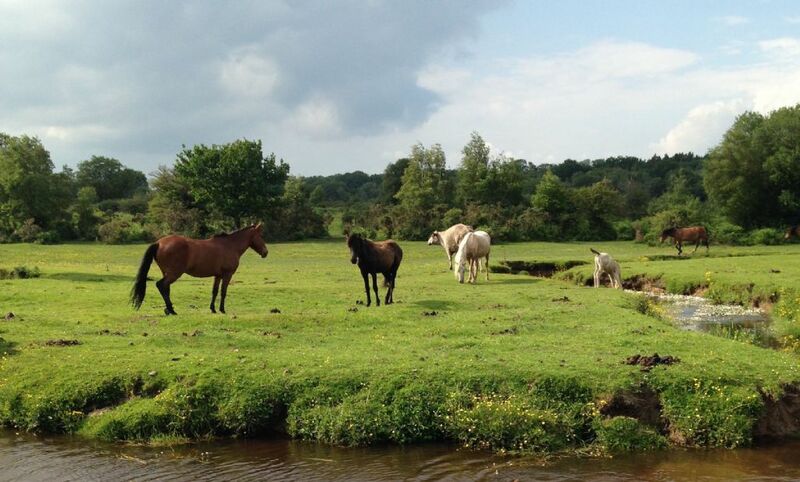 If you want a lovely break in the New Forest with young children, we can think of no better place. Fantastic! We'll be going back for sure. If you have children and even if you don't, this is a fantastic property to stay in. Everything has been thought about even down to the fine detail. If you want luxury combined with child friendliness, then you should definitely stay here. Amanda, the owner is so helpful and friendly. My son became ill just before we left and Amanda went out of her way to accommodate us. We will be back for another visit! Exceptional, so many thoughtful touches for children and adults, arriving to the smell of freshly baked bread, comfortable beds and deep sofas for relaxing, so well stocked with toys that my son didn't want to leave. Just perfect. A perfect week at Twin Cottage! 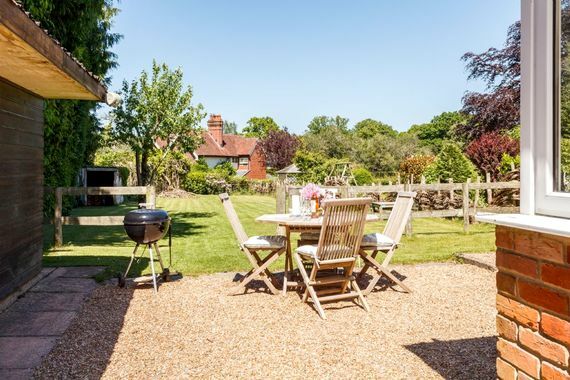 Setting is incredible - right in the heart of the New Forest. Cottage very pretty and cosy with every luxury. Kids loved the toys. We will be back. We had a great 3 nights' stay in October 2015 at the Twin Cottage, with our 21 months old son and 3 months old daughter. We were very impressed by the amount of toys (indoor and outdoor) and other baby equipment, two baby cots, highchairs, children's books, bath toys, baby wash/shampoo etc. Our son loved the little playroom. It was also very nice of Amanda to leave some gifts for our children. Lovely cottage in a great quiet location in the middle of the forest but only a short drive away from numerous places to visit and nice restaurants. Burley is a small but very pretty little village, worth a wander around, including a visit to the Cider Pantry for cider tasting and some nice scones. Our first dinner was at the White Buck and it was lovely, very child-friendly too, we could've walked there but decided to drive as our return trip would have been in darkness. Arriving at the cottage to smell the freshly baked bread was a treat. The cottage was also very warm and cosy throughout. 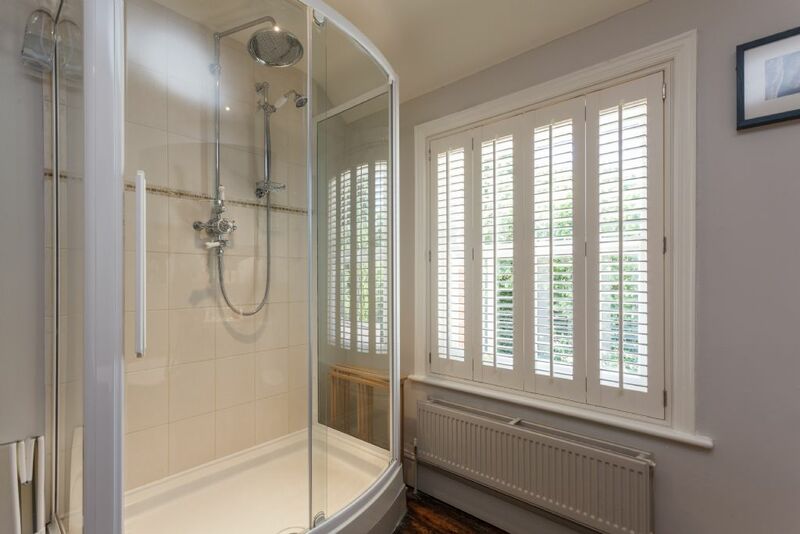 A stylish and spacious bathroom too! All in all, a great place to stay in the New Forest with kids, would not be looking for anywhere else next time we decide to spend a few days in the area. Fantastic for children. Really well equipped with everything you need for a relaxing holiday. Great location too in the Forest. This cottage was ideal for my husband and I and our 3 year old daughter. All the essentials and more were provided, meaning we could pack light and not worry about forgetting something. Everything you need for your little ones was at hand from high chairs to bath toys, and cutlery to kids shampoo! We were also catered for too, with fresh bread, coffee, bacon, eggs and the essential bottle of wine! 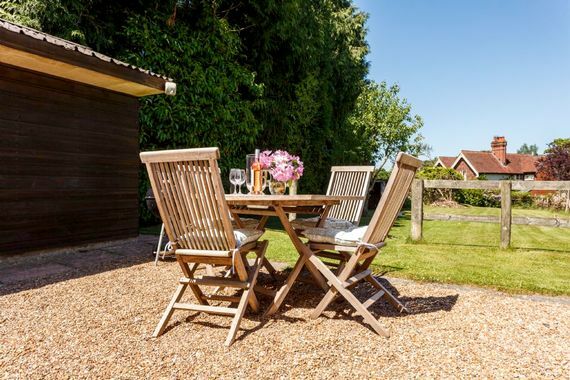 The cottage is an ideal location, close to nearby towns, beaches and right on many cycle routes in and around the area. A great holiday had by all! Thanks Amanda. Host thought of everything , really great place to stay! We had a brilliant time and the cottage was filled with little touches that made our break even more special. We had an amazing stay at Twin Cottage, all the little touches such as presents for the children and freshly baked bread makes it a special place to stay. We will hopefully return soon and I have already recommended it to friends. Wonderful place - a true home away from home. Beautiful cottage in a lovely setting. Lots to keep the kids entertained and some lovely touches that really make it a luxury stay. Thank you. A wonderful property with so many thoughtful touches - highly recommended! Excellent property in a superb location, loved the little touches like leaving some baby toiletries and baking a fresh loaf in the breadmaker! An absolutely beautiful cottage with every little luxury thought of for toddlers and their mummies and daddies! A real weekend to remember and we hope to be back one day. Lovely cottage rendered excellent by the superb attention to detail, with wonderful toys for children and little touches of luxury for adults that made all the difference. Arriving an hour later than planned, we were instantly welcomed into the cottage with freshly made bread (which smelled gorgeous!) and other goodies and provisions for the grown ups. To ensure that our 18 month old son immediately felt at home there with lots of age appropriate toys, a present and cbeebies on the tv for him, he was a happy boy, we were happy parents and the following week was plain sailing! Outside of the cottage (and well equipped garden, the sand pit was an instant hit for our son!) there is lots to do. There is a lot of information in the cottage but to name a few Longdown Farm and of course Peppa Pig World at Paultons Park instantly spring to mind. The cottage is on a beautiful quiet lane with ponies wandering past often and chickens coming into the garden - it is so peaceful there! We loved staying at Twin Cottage, the attention to detail was second to none and we sincerely hope that we will return again. We love your property and will return again. Our only slight grumble is the softness of the bed which would put us off staying a week. 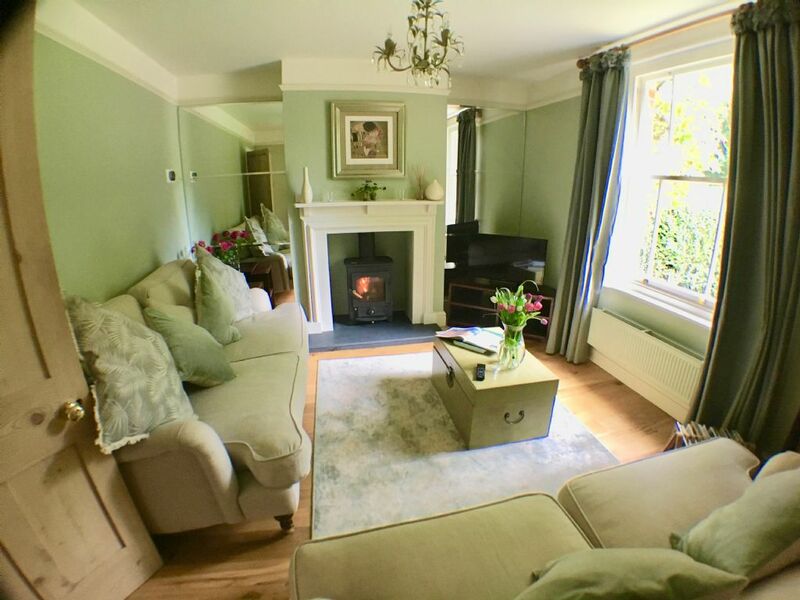 A beautifully decorated luxury cottage set right on the edge of the forest, tailored perfectly to the needs of our 18 month old and 5 year old boy. Amazing toys, play room, gifts and delicious fresh bread, chocs and wine on our arrival all added to it being a perfect treat weekend away. Fantastic accommodation, every detail thought of to cater for a younger family, from crayons to kids DVD's, bath toys and books. And a luxurious touch for the grown ups too. Great location for local attractions as well as easy forest walks to look for ponies. Could not recommend highly enough. Excellent cottage, very welcoming and we loved it! Absolutely beautiful cottage. Superb attention to detail. Our two girls loved the playroom and the bath! We will certainly be back. We had a fantastic holiday. Everything we needed was waiting for us when we arrived. The setting of the cottage was beautiful and there was so much to do in the surrounding area. Really couldn't fault the property; luxury starved grown ups and toy crazed toddlers both well catered for. Small but perfectly formed - a fantastically well kitted out property in a great location. We had a brilliant holiday enjoying much of what the New Forest can offer and our three kids (4, 3 and 18 months) would have happily spent every minute playing with the vast array of toys, in the huge garden and watching the cows and ponies wander past the front gate. I absolutely recommend it. A really great break for us all and our 18 month old settled in straight away like home from home, only better! We had a fantastic stay in this property. It was a great combination of adult luxury and toddler heaven. A brilliant place to stay, a real home from home and with thoughtful touches everywhere. We stayed with a two year old and a four month old. Heaps of great toys (way more than we have at our home) and such a cosy cottage for relaxed evenings by the fire nice the little ones were in bed. A fabulous spot to put on your boots and walk into the forest/see the ponies. We will definitely be returning! 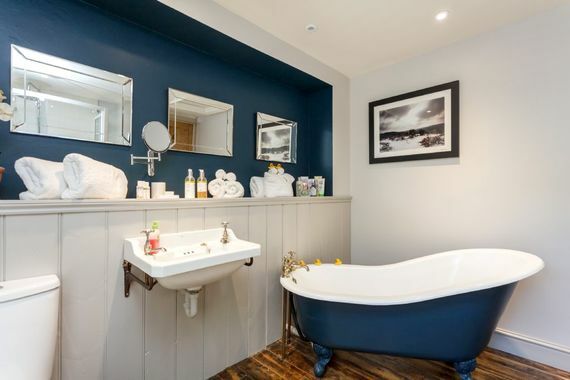 "A wonderful "Boutique Bolthole" to relax away from the city and rest up before the birth of our first child! Will return as a family and would love to take advantage of summer activities around Burley." "A delightful country cottage packed with original features and 5 star amenities. Facilities for my son(18mths) could only have been arranged by a mum herself and what a wonderful reception - a warm cosy home, with the log fire burning, relaxing music playing and the smell of fresh bread! A truly lovely cottage in a superb setting to be enjoyed by families or couples on romantic weekends away. We will definately return! "We loved it all. Good attention to detail. Practicality rules at Twin Cottage. A wonderful place to relax, play and enjoy. Perfect for young families as the selection of toys, books, dvds and outdoor activities make it extra special for your younger guests & stress free for the parents. Looking forward to coming back soon and have already recommended to friends." We had a fantastic stay at this wonderful cottage in the New Forest. We can thoroughly recommend this to all - whether a romantic break for 2, family holiday or a break with friends - it's perfect. The personal touches really make this a place to remember & we can't wait to come back. "Exceeded all expectations, a truly wonderful place that we were sad to leave." Amanda was so welcoming and we all felt so at home and pampered. We have two small children so I thought that a relaxing holiday was out of the question but I have been proved wrong. Very highly recommendend to all stressed out Mums!! Wonderful accommodation and very well equipped. Would have preferred a slightly later departure time as we had to get ourselves and baby out by 10.00am which was a bit of a challenge. I stayed at Twin Cottage, Burley, New Forest. The playroom and childrens facilities were amazing... the house was cosy and bread was baking as we walked in the door! It realy felt like we'd borrowed a very generous friend's house for the weekend! The local pub was child friendly and served good food for a 15 minute walk! It really was a great weekend, the fires/the breadmaker/the make believe kitchen and outdoor toys made for a brilliant stay. Fantastic place to stay, interior decoration is just so! Avon Beach (Mudeford) great for young children as you can literally park 3 feet from the beach. Moors Valley Park great for bike rides with children in buggies. Lots of little touches, to many to mention, make this place better than any 5 star hotel. Will be back as soon as possible!! P.S. More toys than we have at home! Absolutely lovely cottage, the owner had thought of everything which made our stay even more enjoyable.